This was published in the December 2013 issue of Alamance Magazine. I want to share it with you now, because it’s never a bad time for gift giving. There’s so much that comes to mind with the term, gift giving. No matter what has crossed my mind to write about for you this month, I always go back to thinking about our gifts that we were blessed with and giving to others. Being giving of our personal gift is important to a happy society. Your gift doesn’t have to cost money. That’s the wonderful thing about gifts. You were blessed with your talents, and they were given to you, to pass on and bring joy to others. I remember growing up and singing in church for various occasions. It may have been for a birthday, a wedding, or just with the choir. But, one of my gifts was singing. It was and is something I can give freely to others. It was the priceless birthday gift I could give my grandparents. It was an irreplaceable gift. There are a few gifts that I think people look over as just a “skill”. Our local firemen and police officers – they have the gift inside of them that allows them to save lives daily. The carpenter that volunteers with Habitat for Humanity – they have a gift and use it to build homes. The funny friend that you have – that’s a gift that allows them to bring a smile to so many others with just a simple joke. The beautiful friend that always remembers you on birthdays and holidays with the perfect card – they freely give their gift of love and remembrance. You know that shoulder you cried on last week? That person was gifted as a natural born comforter, and they never hesitate to use it. Your gift could be just being a good motivator, an amazing hair stylist, or even a delicious cook. In short, I do believe that our talents were gifts we were given in the beginning of life. Sometimes we don’t know when those gifts will shine in us along our journey, but we have the choice to embrace them and share them with others whenever we can. Sometimes stepping out of our comfort zone and sharing our gift can be scary, which can hold us back. In the earlier part of the year, I volunteered at a local high school in their Exceptional Children class. I thought it would be a great way for me to share my gift of cooking with someone else – a way for me to bring joy to others. Little did I know, it would change my life. It was like any other day when I woke up. Except this time, I was packing my car full of brownie making items. 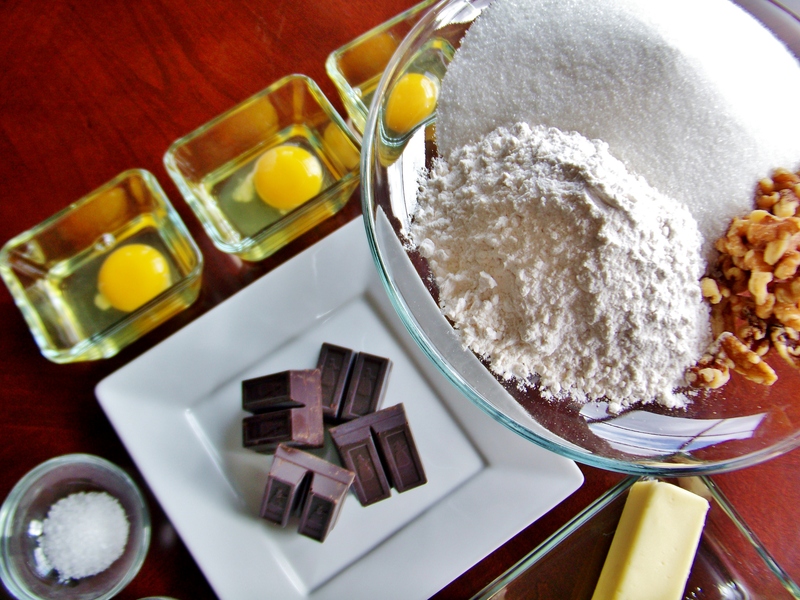 We weren’t just going to make box brownies though, we were going to do it from scratch! I got loaded up and headed to the school. I didn’t know what to expect. I had never had an experience with a student with disabilities, and I certainly hadn’t been back in a high school since I graduated. Honestly, it was a little nerve-racking in many ways. I didn’t want to say the wrong things, do the wrong things, or hurt anyone’s feelings. After waiting uncomfortably at the front desk for a bit, I finally got into the room and met their teachers. Wow. They were amazing and explained everything to me before we entered the room. Maybe I looked nervous? It was a good possibility. That was until I was introduced to the students – those beautiful young people. The teacher called their attention and introduced me. Every single one turned around and greeted me. They each told me their names, and we were off to the kitchen! One by one we packed into their kitchen, and one by one we went through the ingredients we were going to use. There were a few that found it fun to crack the eggs. Others decided it was fun to play in the flour and sugar. One in particular wanted to wash the dishes. With hardly any help from myself, we had the brownies mixed up and ready to go in the oven. That’s when it hit me – I had brought too large of a pan! Oh, I was devastated inside! I so wanted this to be perfect for them. After one of the students sprayed the pan, the brownies were poured in the pan and set to bake. My heart sank. I knew they wouldn’t be nice chunky, thick brownies for these wonderful students once the batter was spread out in the pan. We did the dishes, waited a bit, and then the brownies were ready to come out of the oven. I pulled them out to cool for a few minutes before calling the class back into the kitchen. They were so flat. Sigh. The teacher kept reassuring me that it was okay, because we knew they would taste wonderful. Napkin by napkin, little flat brownie by little flat brownie, they were all passed out to the students. It was about the time the last brownie was going out that I realized what this was all about. It wasn’t about just sharing my gift of cooking with these children; they shared their gift of love, kindness, and appreciation with me. 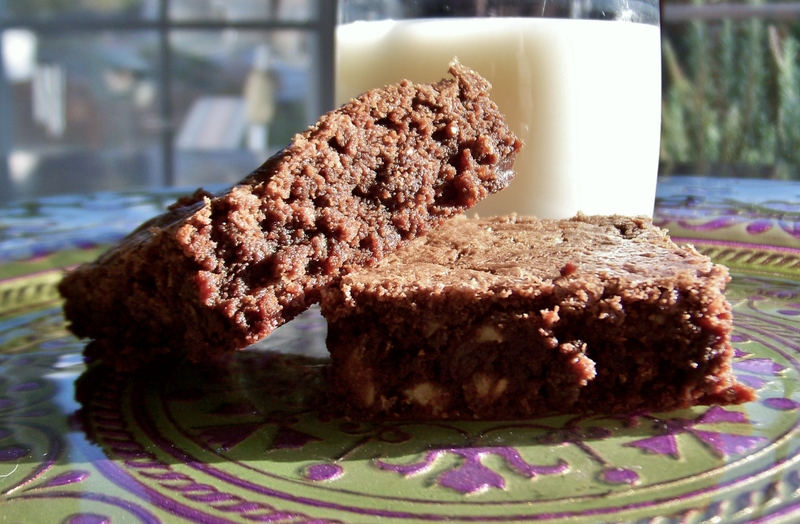 Their smiles, hugs, and words all said the same thing to me – BEST brownies ever! They didn’t need to be perfect by any standards to actually be perfect. They were made with love by every single one of those students and myself. It was about the time I took to share my gift that was so precious and wonderful to them. That afternoon I learned that a gift we are blessed with, is a gift that we are meant to share with others. So whether it’s a smile that you give freely, or a passion that you use to help others, it’s all about freely giving your gift. Pass it on. Oh wait! I mentioned brownies! Hands down…the perfect brownies. Enjoy, and pass them along this holiday season as gifts! Melt 1/2 cup of margarine/butter and chocolate squares in a small saucepan over low heat; set aside to cool. Place remaining 1/2 cup margarine/butter, sugar and vanilla in mixer bowl. Attach bowl and flat beater to mixer. Turn to Speed 2 and mix about 30 seconds. Turn to Speed 6 and beat about 2 minutes. 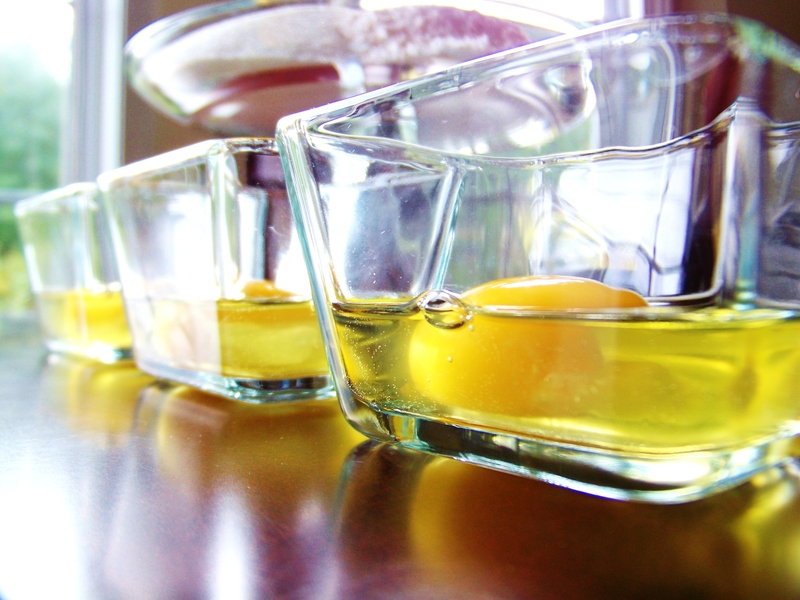 Add eggs, one at a time, beating about 15 seconds after each addition. 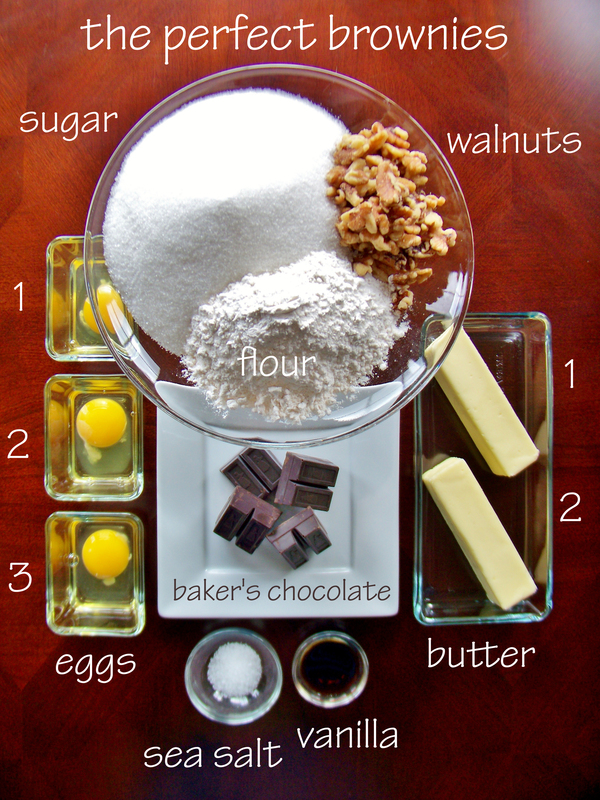 Add all remaining ingredients (flour, salt, nuts). Turn to Stir Speed and mix until well blended, about 30 seconds. Pour into greased and floured 13x9x2-inch baking pan. Next Post An Evening with Paula Deen!! !